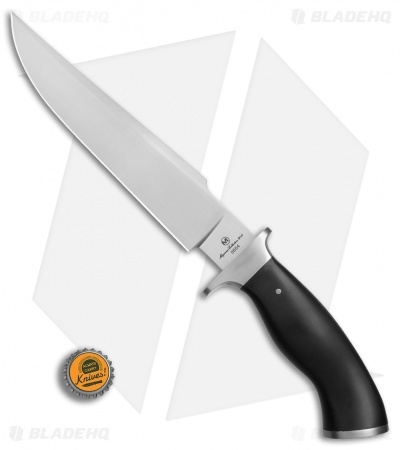 The Boker Magnum Collection 2018 fixed blade was designed by U.S. knife-maker John H. Davis and was based on one of his most popular bowie knife models. 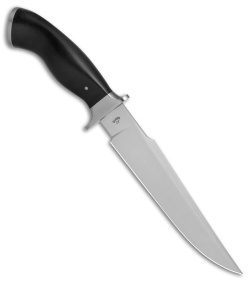 This versatile fixed blade is made from a thick stock of 440C stainless steel with a horizontal satin finish. With this special Magnum Collection fixed blade, John wanted to combine the classic bowie style with modern fighting knife elements. 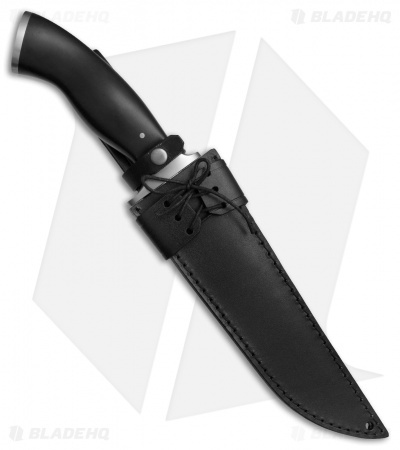 The polished black micarta handle adds a touch of class, with a rounded palm swell and stainless steel guard for a secure, comfortable grip. This 2018 Collection fixed blade is limited to just 1,999 pieces worldwide, and includes an exclusive collector's box, genuine leather sheath, and certificate of authenticity.